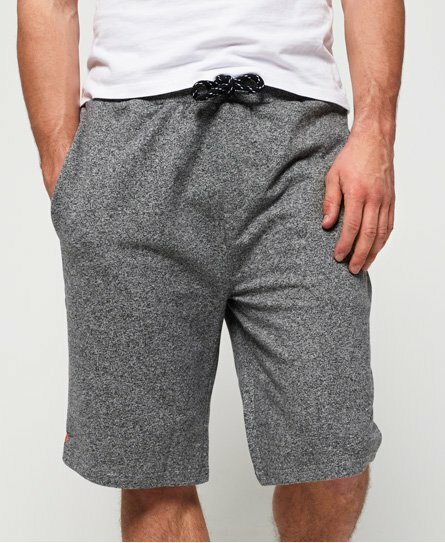 Superdry men's SD Laundry organic cotton sweat shorts. Lounge in comfort this season with these sweat shorts, featuring an elasticated drawstring waist, pockets in the side seams and a pocket on the back. The shorts are completed with a logo badge on one leg and a branded waistband.